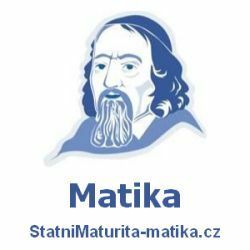 Které nejčastější otázky pokládají zkoušející u ústní zkoušky z angličtiny na téma Skotsko a jak na ně odpovídat tak, abyste získali vynikající hodnocení. Připravili jsme seznam nejvíce frekventovaných otázek hodnotitelů pro maturitní okruh Ireland a vzory odpovědí na jedničku. Tak si je vyzkoušejte nanečisto v klidu a teple svého domova na mobilu či počítači. 1. Where in Britain is Scotland situated? Tell me about it. Scotland is a part of the United Kingdom. It is located in the northern part of Great Britain. England is the only country that Scotland shares borders with. Otherwise, it is surrounded by the Atlantic Ocean. 2. Is Scotland a lowland or a mountainous country? Tell me about it. Scotland is mostly a mountainous country. The north and west of Scotland are covered by the Scottish Highlands, while the south and east are known as the Scottish Lowlands. Ben Nevis (1 344 m) is Scotland’s and UK’s highest peak. 3. What does the typical Scottish countryside look like? Tell me about it. Most of Scotland is covered by mountains and hills. There are also nearly 800 islands, most of them are rugged. Scotland is known for its beautiful green nature, that seems like it wasn’t touched by a human. There is also more than 30,000 lochs in Scotland (lakes). 4. Which things cross your mind when thinking about Scotland? Why? The first thing that comes to my mind is whisky, because Scotch whisky is a national drink and world-wide famous product of Scotland. And then also kilts and bagpipes come to my mind. A kilt is a traditional skirt worn by Gaelic boys and men. And bagpipes, because it is a national instrument. 5. What is the typical Scottish uniform like? Tell me about it. A Scottish uniform, also called Highland dress, is characterized by the tartan pattern. Men’s uniforms consist of a tartan kilt and a full/belted/fly plaid. It is worn with knee-socks, belt, and other accessories. Women’s Highland dress includes a tartan ankle-length skirt, not a kilt. They also wear a blouse and a vest. 6. Do you know any famous Scotts? Tell me about it. Ewan McGregor- actor, movies: Trainspotting, Star Wars, Beauty and the Beast, Moulin Rouge! 7. What is the capital of Scotland? Tell me about it. The capital of Scotland is Edinburgh. It is situated in the south-east of Scotland. It is the seat of the Scottish Parliament and Government. In Edinburgh, there is also the official residence of the monarch. The most famous place for tourists in Edinburgh is the Edinburgh Castle, built in the 12th century. 8. Is Scotland a dependent or an independent country? Tell me about it. Scotland is a dependent country. It doesn’t meet six out of eight criteria that determine whether a country is independent. The head of state is Queen Elizabeth II. The leader of the Scottish Parliament is the First Minister, currently Nicola Sturgeon. 9. Which event in the Scottish history do you consider significant? Why? Tell me about it. One of the important moments of Scotland’s history is the Act of Union in 1707. That is when England took over Scotland, creating the Kingdom of Great Britain. Scotland was in a poor financial state after the failure of the Darien scheme. England offered to pay-off Scotland’s debt as part of uniting the two counties/kingdoms. 10. What is the origin of Scotts? Tell me about it. Scottish people are a mixture of two Celtic-speaking groups: the Picts and Gaels. They found the Kingdom of Scotland in the 9th century. The Picts lived in the northern and western Scotland, the Gaels lived in the Scottish Highlands. 11. What are the symbols of Scotland? Tell me about it. 12. Which lake in Scotland is mysterious and why? Tell me about it. Loch Ness is a world-wide known mysterious lake. It is actually the most famous lake in the world. It is mysterious because many people believe that there is a Loch Ness monster, called Nessie, living under the surface. She is supposed to have a long thin neck, a tail, and a snake-looking head. People claim they have seen it, but it still remains a mystery till today, what it actually is. 13. What is the Scottish music like? Tell me about it. Traditional Scottish music is pretty similar to the Irish music. The difference is that in Scotland, they use bagpipes in their songs. The Scots also use piano accordions, a piano, and a fiddle. Scottish folk music and folk dancing are significant. 14. How can you get from Edinburgh to London? Tell me about it. The easiest and fastest way to get to London from Edinburg would be a plane. The flight is only 1h 30m long. There is also a train, but that takes almost 6 hours. A bus would take at least 10 hours. 15. Is Scottish English the same or different from English spoken in e.g. England? Tell me about it. The language is pretty much the same in both countries. However, in Scotland, there is a really strong and tough accent. The pronunciation is sometimes so different that it is really hard to understand. Also, Scottish vowel system is quite different. 16. Which typical Scottish product can you mention? Tell me about it. The first thing that comes to my mind is the Scotch whisky. The Scots are very proud of their product. The first record of the Scotch occurred in 1494. Nowadays, it is known and sold all around the world. 17. What is the weather like in Scotland? Tell me about it. Scotland’s climate is very changeable. But generally, it is windy, cool and wet. You can even experience all four seasons in one day. The average temperature in the summer is 17°C and around 5°C in the winter. 18. Which natural monument do you think is the most significant in Scotland? Tell me about it. There are several natural attractions in Scotland. One of them is the Old Many of Hoy- a sea stack rising out of the Atlantic Ocean, the tallest one in the UK. Another one is Fingal’s Cave- situated on the island of Staffa (uninhabited), it could be seen in one of the Harry Potter movies. And also the Fairy Pools- magical pools, located on the Isle of Skye. 19. Which currency is used in Scotland? Tell me about it. In Scotland, the currency is the same as in the rest of the UK- British Pounds. However, the Scots print their own versions, which can be sometimes refused in some of the shops around the UK. 20. What is the Hadrian Wall? Tell me about it. The Hadrian’s Wall, also called the Roman Wall, was a defensive barrier. It was built by the Roman Empire and it marked the north-west frontier of the Empire. It used to be 73 miles long, nowadays, most of the wall still stands. There is also a Hadrian’s Wall Path, which is 84 miles long. 21. What is the name of the highest peak in Scotland, and in Britain? Tell me about it. Ben Nevis is the highest peak in Scotland and also in the UK. It is 1,345 m above the sea level. It is located in the north-west Highlands. Million years ago, it used to be a volcano which exploded, there is still evidence of the explosion at the top. 1. Which place in Scotland would you like to visit? Why? Tell me about it. I would like to visit Edinburgh and then the nature of Scotland. I’d like to hike up Ben Nevis, go see the Loch Ness and Loch Lomond, and all the other natural attractions because those can’t be seen anywhere else in the world. 2. 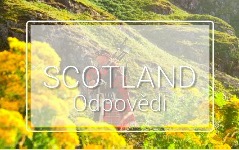 Would you like to travel in Scotland? Why? / Why not? I would like to travel in Scotland. It is not that big country, pretty much like the Czech Republic, so even if I would be there only for two weeks, I would probably be able to see most of it or at least the main places. 3. Would you like to try wearing a kilt? Why? / Why not? Yes, I would like to try wearing a kilt. I don’t think I have ever seen the real Scottish one. But I think it is more fun for guys to try it on, since they are not used to wearing skirts. 4. Would you like to work in Scotland for a while? Why? / Why not? I guess it would be fun to work there, maybe just for the summer. It would be interesting to work there for a month and then travel around. I would be able to meet the Scots, get to know them, see the country, and also make some money. 5. Do you know any typical Scottish words? Tell me about it. I know only a few. Aye means yes, noo is now, chum is a friend, and ye is you. Příspěvek byl publikován v rubrice Skotsko se štítky Scotland a jeho autorem je NovýAmos.cz. Můžete si jeho odkaz uložit mezi své oblíbené záložky nebo ho sdílet s přáteli.